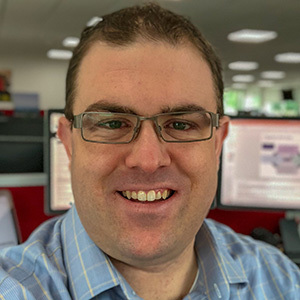 Since the release of Real-time Insight Notifications 1.0, we’ve learned a lot about how changes in technical behaviors on websites impact the business outcome of your visitors’ journeys as they occur, and these learnings continue to be fed back into our underlying algorithms. I’m really excited about some big enhancements we’ve released, just in time for the holiday peak season! 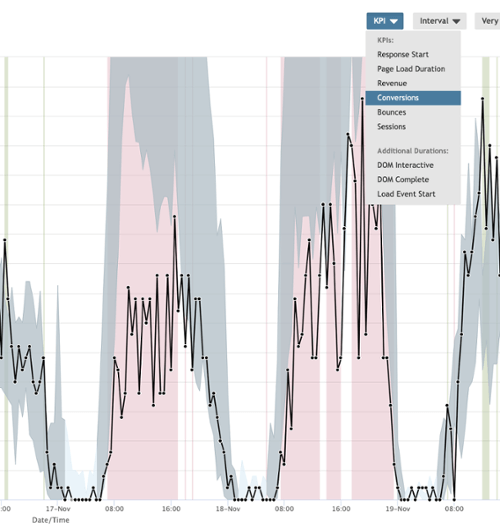 We made some fundamental changes to our underlying real-time insight architecture to enable new features and also to ensure it’s easier to maintain. What’s in it for you? New features are now much simpler to develop and test, which means we can get you more awesome functionality at a more rapid pace. This was one of the most constructive pieces of feedback we received. 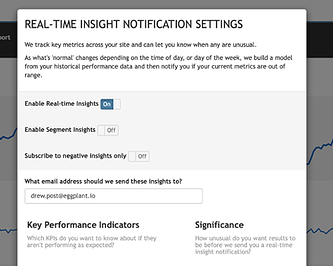 Most people prefer to be notified in real time only if something went wrong, for example, when conversions were lower than expected. However, occasionally, it’s also useful to know if the conversions are higher, even if it doesn’t need someone’s immediate attention. We’ve now added a filter to your preferences that enables you to choose between receiving all insight or to receive notifications only when something negative (bad) happens. When you click the More Information link in a notification and open the KPI Performance report, only bandings that correspond to the severity you clicked on will be displayed. When you click the More Information link in a notification, it will open the recently updated KPI Performance report into the KPI you clicked on. 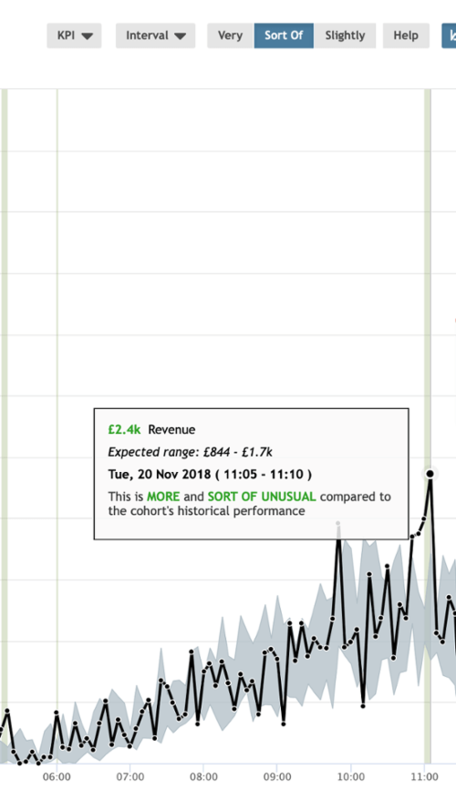 This enables you to see the historical performance of that KPI with our powerful expected ranges at-a-glance insight. We hope you find these new features and enhancements useful. As always, please let us know what you think using the “My Feedback” tab on the right-hand side of the Real Customer Insights portal. And if you're not yet using Real Customer Insights, why not give it a try?